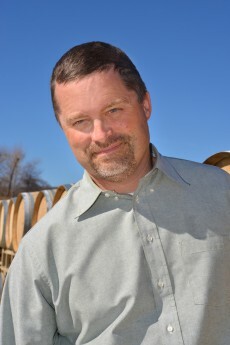 We are fortunate to have Derek Irwin as our in-house consulting winemaker. 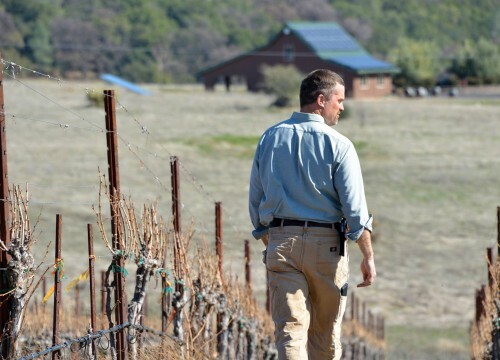 After graduating from UC Davis, Derek started his career as an enologist and assistant winemaker at Cosentino Winery in Yountville and then moved to Bouchaine Vineyards where his skills were put to good use as an assistant winemaker for their cellars. Derek was privileged to work under the tutelage of world renowned Italian enologist and winery consultant Alberto Antonini. Additionally, his training included stints in Italy and Argentina. In 2001, his talent was further recognized and his hard work rewarded when he became the chief winemaker and vineyards manager at Viansa Winery. He was charged with creating a new direction for Viansa wines in addition to winemaking and vineyards management. A fateful phone call in 2003 while still working at Viansa would begin a relationship between Naggiar Vineyards and Derek. While looking to purchase grapes for Viansa, he was invited out to Naggiar vineyards by Mike Naggiar. Derek was surprised by the quality of the grapes Naggiar was growing; “He (Mike Naggiar) was doing everything right to grow top quality fruit.” Derek’s own distinctive winemaking style was a perfect match for Naggiar’s top quality fruit and winemaking aspirations. Derek founded Madura Consulting in 2004, where he is the principal and managing partner with customers in Napa, Sonoma and the Sierra Foothills. Derek was born on an Air Force base in a small town outside Madrid, Spain and has a great love and affinity for the Spanish culture, food, and wine. To that end, he asked Mike Naggiar to plant Tempranillo grapes on the Naggiar estate in 2003 and now makes his own Tempranillo and other Spanish style wines under the Irwin Family label. Derek, his wife (and Naggiar Blogger) Danielle, and their four children live in Napa.